The first book in the Body Finder series from Kimberly Derting is equal parts romance and mystery. Sixteen-year-old Violet is hiding two secrets. The first is her confusing new feelings for her childhood best friend Jay. The second is her unusual ability to sense the dead...and the people who killed them. Violet has never considered her morbid ability to be a gift, but when a serial killer begins terrorizing her small town, Violet realizes she may be the only person who can stop him. Ever protective of her, Jay agrees to help Violet, and as they search, Violet realizes she isn't the only one whose emotions have changed. But as they fall in love, Violet is also getting closer and closer to discovering the killer...and becoming his prey herself. 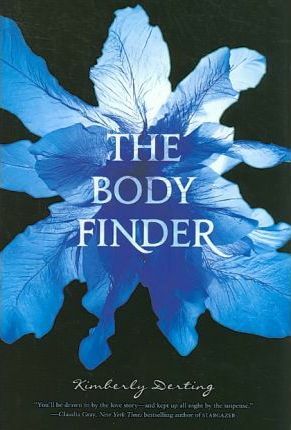 The Body Finder is the compulsive first book in the four-book Body Finder series by Kimberly Derting. Violet Ambrose is grappling with two major issues: Jay Heaton and her morbid secret ability. While the sixteen-year-old is confused by her new feelings for her best friend since childhood, she is more disturbed by her "power" to sense dead bodies--or at least those that have been murdered. Since she was a little girl, she has felt the echoes the dead leave behind in the world . . . and the imprints that attach to their killers. Despite his fierce protectiveness over her, Jay reluctantly agrees to help Violet find the murderer--and Violet is unnerved by her hope that Jay's intentions are much more than friendly. But even as she's falling intensely in love, Violet is getting closer and closer to discovering a killer . . . and becoming his prey herself. Kimberly Derting is the author of the Body Finder series, the Pledge trilogy, and the Taking series. She lives in the Pacific Northwest, where the gloomy weather is ideal for writing anything dark and creepy. Her three beautiful (and often mouthy) children serve as an endless source of inspiration and frequently find things they say buried in the pages of their mother's books. You can visit her online at www.kimberlyderting.com.